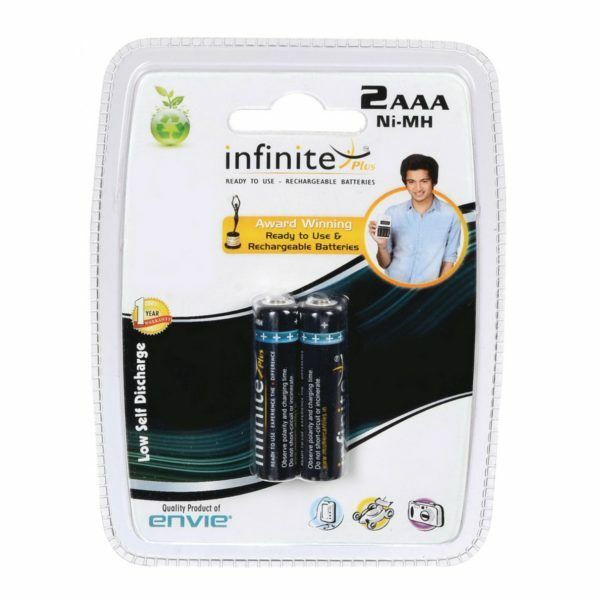 Envie Infinite Plus AAA 1100mAh Battery is a set of 2 AAA Batteries. A preminum range of Product from Envie. The set of batteries have a current rating of 1100mAh. Ready to Use & Rechargeable. Low Self Dischage, 80% Charge remains even after 1 year. Can be sued straight from the pack & is compatible with a large number of devices including Remote Controls, Electronic Toys, Cameras, Flashlights, Torches & various other devices.